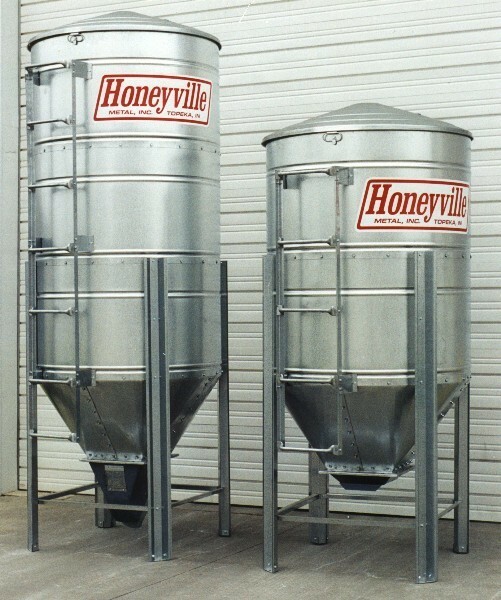 Round Economy Feed Bins | Honeyville Metal, Inc. 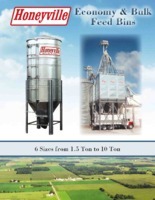 The Honeyville Round Economy Feed Bins offer you just that, an economic way to store your feed products. 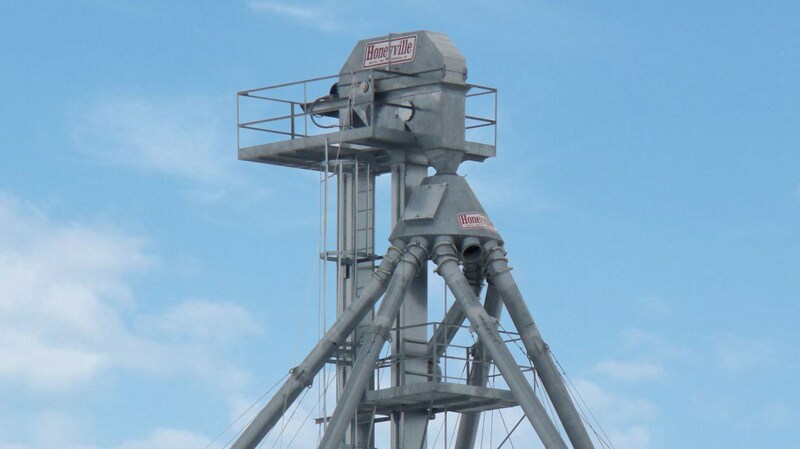 With 18 gauge G90 galvanized steel in the 52° hopper portion and 22 gauge G90 galvanized steel on the side walls, it offers you years of rust free service. The poly boot can be adjusted from 20° to 50° to accommodate differing auger heights. An optional hand crank auger is available for placement of the bin in remote areas. 4RD15 1.5 Ton 51" 8' 10"
4RD20 2.0 Ton 51" 11' 3"